Emma Marie Breaux, my grandmother, was born in Charenton, LA, on December 14, 1879, to Louis Emile Breaux(b.1841) and Marie Josephine Sigur, who were married February 24, 1879. Emma Marie was oldest of five children: Emma, Charles, Philemon Adele, Gustave Ambrose, and John Frederic. Emma married Isidore LaBauve in Kaplan, Louisiana, on April 3, 1902. They had two children: Mary Myrtle and Anthony Hilton, my father. 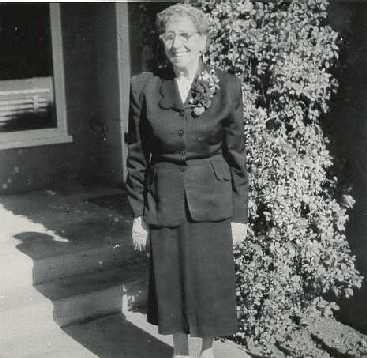 Emma Breaux LaBauve died in Santa Ana, California, on May, 27, 1972.
rejoice in time to come. also, and he praiseth her. ..